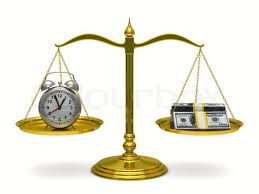 SCD Group: Time or Money: Which is the Biggest Challenge for Your Association or Nonprofit? Time or Money: Which is the Biggest Challenge for Your Association or Nonprofit? As associations and nonprofit organizations, we have multiple competitors. In fact, every other business, charity, association or entertainer is our competition. Our organizations ask members, donors and prospects to give us money: dues, donations, registration fees. So any entity seeking money is our competitor: that includes retailers, Amazon, for profit events, sports, arts and musical events that charge fees. The list goes on. Our organizations ask members, donors and prospects to give us time: to be volunteer leaders, to participate in service projects, to attend our events. So any entity seeking time is our competitor: churches, Red Cross, governmental programs, charity walks, Habitat builds. The list goes on. So, which is your biggest challenge: time or money? Please complete this 3-question survey before July 31. I’ll post the results in August.